Project Zomboid is out on Early Access; here’s our Project Zomboid review. 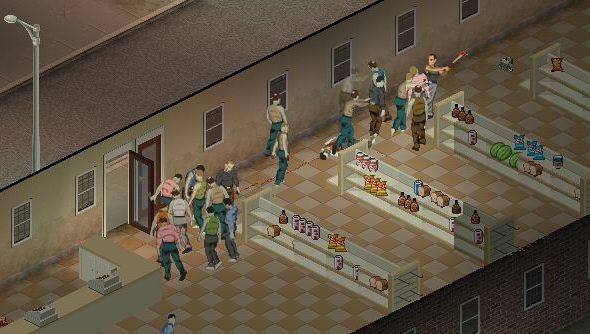 Project Zomboid is a 2D open world zombie RPG/strategy hybrid that’s open ended, tense, and brilliant. But it’s not finished; the devs are using a crowdsourcing approach to build the game, releasing updates and improvements in batches. We’ve been talking to them about what’s coming in their next update. The big news is a refresh of the game’s crafting, inventory and UI. That new UI includes a new inventory system that will includesortable columns, search boxes and filters, and a much better implementation of drag and drop.